Summary: Evil tree. Bad Apple? Twenty years ago, all the evil villains were banished from the kingdom of Auradon to the Isle of the Lost–a dark and dreary place protected by a force field that makes it impossible for them to leave. Stripped of their magical powers, the villains now live in total isolation, forgotten by the world. Last week, I had the amazing opportunity to participate in a group interview with author Melissa de la Cruz. Ms. de la Cruz has written many successful novels including the Blue Blood series; however, her latest endeavor is the middle grade novel THE ISLE OF THE LOST, a prequel to the Disney Channel's original movie Disney Descendants. 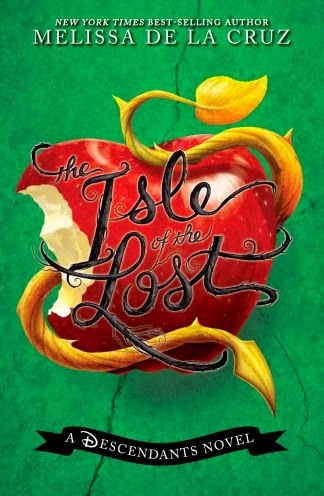 I read THE ISLE OF THE LOST prior to the interview and thought it was terrific. I am a huge Disney movie fan, and I loved this unique twist on some classic fairy tales and their characters. Ms. de la Cruz managed to write an original story about the offspring of some notorious villains while keeping true to the original Disney stories. I loved it! 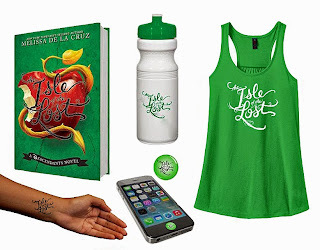 THE ISLE OF THE LOST is the first book in the Disney Descendants series... and honestly, I can't wait to read more of these books and see the movie this summer! The movie will be directed by High School Musical’s Kenny Ortega and stars Kristin Chenoweth at Maleficent. I have a feeling that it's going to be huge! Have you ever wondered what happened to all the villains at the end of classic Disney movies like Sleeping Beauty, Aladdin, Snow White, and more? Well, THE ISLE OF THE LOST answers that question! The novel picks up 20 years after the villains were defeated and tells the story of what happened to these characters and what they've done since their banishment from the kingdom of Auradon. The villains were sent to the Isle of the Lost, a depressing and isolated place no magic. Unfortunately, the villains haven't really been rehabilitated; and they've managed to pass along some of their not-so-nice traits onto their children. The villains (and their kids) are hoping that the spell will be broken and that they can one day return to Auradon and continue their evil ways! "Did you read fairy tales growing up? And if so, which was your favorite? And do you think it influenced your writing in The Isle of the Lost?" Ms de la Cruz: "I really had an early education in myth and fairy tales, and I've always loved them. My favorite fairy tale, I think because it was so scary to me as a child, was Hansel and Gretel, you know, abandoned by your parents and kind of given over to the witch." "What attracted you as a successful author to this project of being a part of the Disney Descendants franchise?" 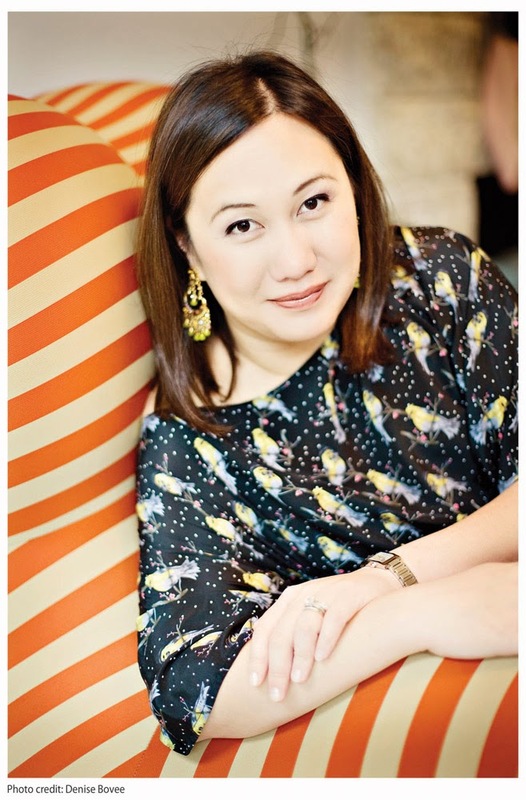 Ms. de la Cruz: "So, what attracted me to the project was that I love fairy tales. And I actually wanted to write a fairy tale retelling. And I had just talked to my agent that morning and told him I want my next project to be a fairy tale retelling." "And that day, I was having lunch with Jeanne Mosure, who's the head of Disney Publishing. And she asked me to write The Descendants. And I said, "Oh, my God. This is so crazy. I just told my agent I wanted to write fairy tales. And now I'm getting the biggest Disney fairy tale of all." "So, I liked it because I'm a huge Disney fan. I grew up watching all the classic movies. I know them by heart. They were a big part of my childhood." "I was wondering if you could tell us any of the specific challenges you faced, if your writing process was actually different writing this book than it is your other novels, if you had to approach it differently as far as writing it less organically and more from an outline, or something like that." Ms. de la Cruz: "So, the biggest challenge for me was figuring out the voice and the tone of the book because I didn't want it to be too jokey. And that did quite appeal to me as a way to write the story because I wrote a draft that was very jokey, which is a lot more like the script." "But, you know, the script becomes a movie. So you can see kind of the nuances in the actors' performances. But, when you're writing a book you've just got the words." "I guess my next question would be as a huge Disney fan, and obviously the research had to be quite fun for this book, do you have a favorite Disney movie or a favorite Disney villain or princess?" Ms. de la Cruz: "My favorite, I saw Cinderella when I was three years old. And it was the first Disney movie I've ever seen. And it's always been my favorite. I think the makeover fantasy is really fun. You know, getting to go to the ball in this great dress and this fabulous coach and all her friends turn into footmen." "I just think there's something really magical about that story. And I've always liked it. And, you know, the pettiness of the stepmother and the stepsisters just felt really realistic to me." "And I've always really liked that story. I think my favorite princess is probably Belle, though, because of the bookishness, you know?" Isn't that last statement so true for all of us booklovers? To enter, just fill out the form below before May 19th at 11:59 p.m. EST. I will randomly select and notify the winner the following day. This contest is open to those of you with U.S. addresses only. Good luck! I really loved that interview! Oh my, that does sound like a fun book! Just watched Into the Woods with my daughter and loved the mashup of fairy tales there even if it was a little dark. This one sounds great and am looking forward to seeing the movie.